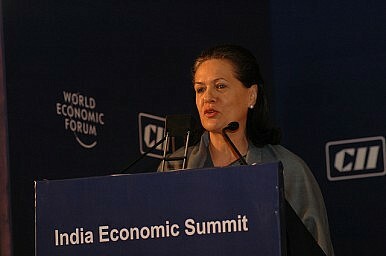 Sonia Gandhi took a tough line over DMK threats to leave the UPA government. It seems to have paid off. Sonia Gandhi has managed a feat unrivalled by any Congress leader since the party was born in Mumbai, back in 1885, under the presidency of W C Banerjee. She is the only person to have been president of the 126-year-old political party for more than 12 consecutive years—something not even Congress greats like Mahatma Gandhi, Jawaharlal Nehru, Indira Gandhi or Rajiv Gandhi have come anywhere close to achieving for one reason or another. Nehru, India’s first and longest-serving prime minister (1947-64), was Congress president for nine years over six tenures. Why and how Sonia became the undisputed, towering leader of the Congress are questions that a whole book could be written about. But right now, there’s no doubt that the ongoing DMK crisis—now mostly resolved—this past week has again demonstrated her importance to Indian politics. The latest episode involving the Dravida Munnetra Kazhagam party, which is in power in the southern state of Tamil Nadu, has raised Gandhi’s standing several notches. It began when the DMK, a Congress ally, announced on March 5 that it would be cutting off all ties with the UPA II government over ‘unreasonable’ Congress seat-sharing demands. An unexpected standoff between the DMK and the Congress followed, resulting in a likely equally unexpected frosty response from the Congress. On the night of March 7, it was reported that leaders of the DMK had finally met with Sonia Gandhi,at which time she bluntly told them that the DMK hadn’t been courteous toward her party. She continued to play hardball, reportedly refusing to go into details on how to save the Congress-DMK coalition, instead suggesting to DMK leaders that she didn’t care whether or not the government survived in its current form. She went on to tell them that it was the Congress Party’s prestige, not her own, that had been hurt by the DMK’s unilateral decision to walk out of the government. From this moment on, Congress was probably in the driver’s seat for negotiations, and the DMK eventually sealed a peace deal with the Congress yesterday.